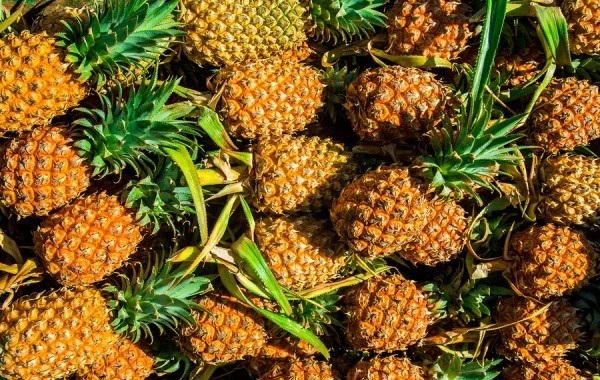 The export of organic pineapples of Manipur to the national capital has given a renewed zeal to pineapple cultivators of the state as the demand for these produces has increased more than twice since the first consignment of one metric tonne last month. The Manipur Organic Mission Agency (MOMA), implementing agency of Mission Organic Value Chain Development for North East Region (MOVCD-NER) and department of Horticulture and Soil Conservation was the brainchild of this initiative which also collaborated with Krushi Karma Naturals, Manipur. The uniqueness of these pineapples lies in its taste and that those are chemical free. Notably, locally grown pineapples of Manipur even entered into the global market during the years 1983-1986 for the first time and it was exported particularly to then Union of Soviet Socialist Republics (USSR). The earnings from the export of these organic pineapples will directly benefit the farmers who are cultivating organic pineapple under MOMA. The queen variety is mainly cultivated in Thayong, Andro, Waithou and Chiru; while the Kew variety is cultivated in Bunglon and Khousabung of the State. At present, 600 organic growers or farmers are cultivating organic pineapples covering 600 hectares of land under phase-1 of the scheme and another 1,000 growers are being promoted at 1,000 hectares of land under the phase-II of the mission. The seasonal fruit is available in the state from the month of July to October.